Want people to know your into speed and customs even when your not cruisin in your rod??? 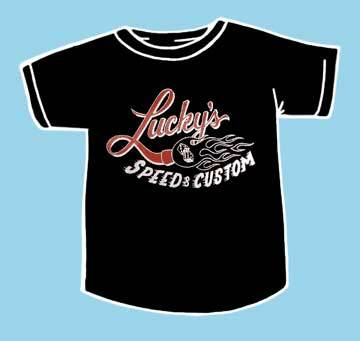 Luckys Speed & Custom T shirt!! !.